When Megan was little I read her Little Critters All By Myself OVER AND OVER. I was so proud of her when one day she read it to me. 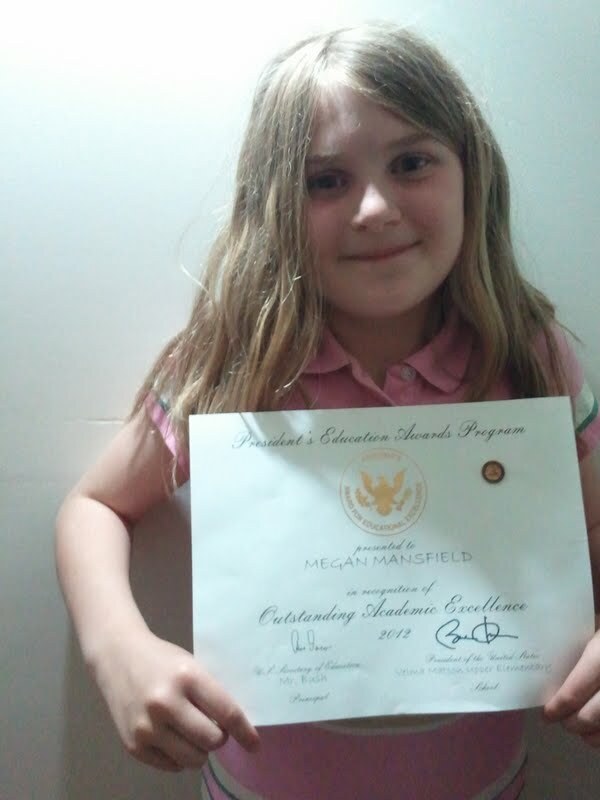 Megan has loved school since she started at 3 years old. When she was in third grade her teacher did not have the books at her reading level so they had to be brought from other teachers in higher levels. 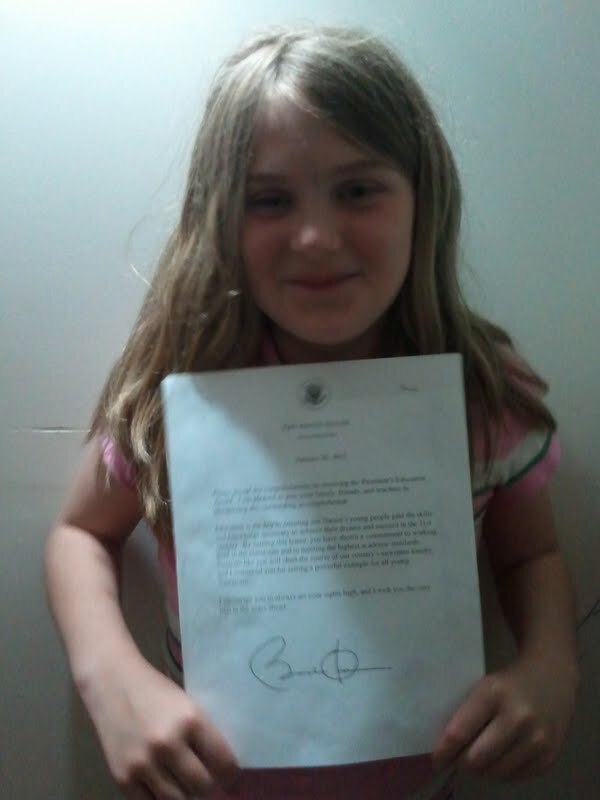 Earlier this year her teacher sent one of her writings in to a young writers competition. Although she did not win she was happy to have hers chosen as an entry. 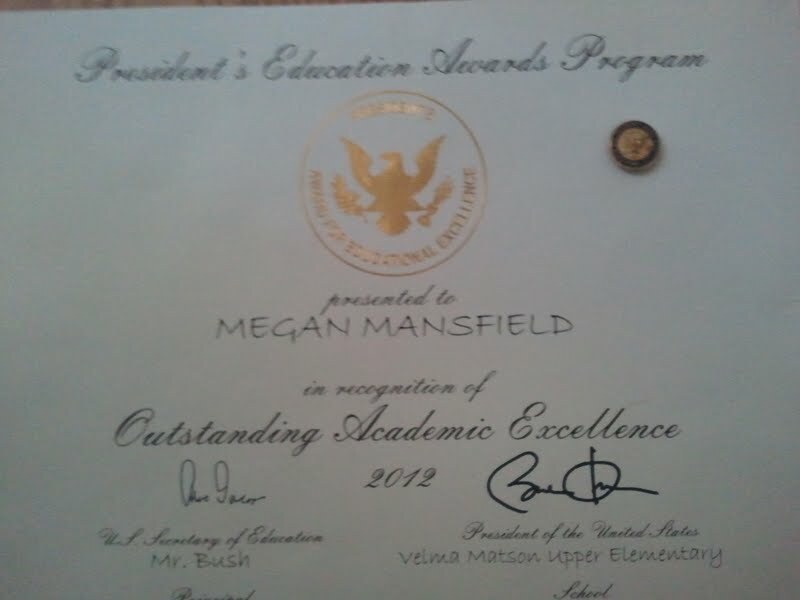 It was no surprise to me when her teacher called earlier this year to say that she had one of the highest MAP test scores in the school. Her test scores have always fallen in the high advanced range on everything she has taken. 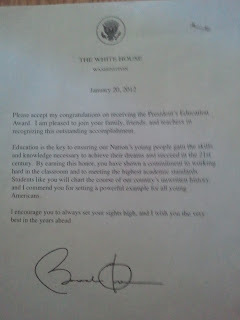 Yesterday she came home so excited and surprised that she had won this Award. 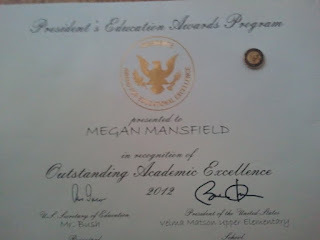 We are so proud of you Megan. 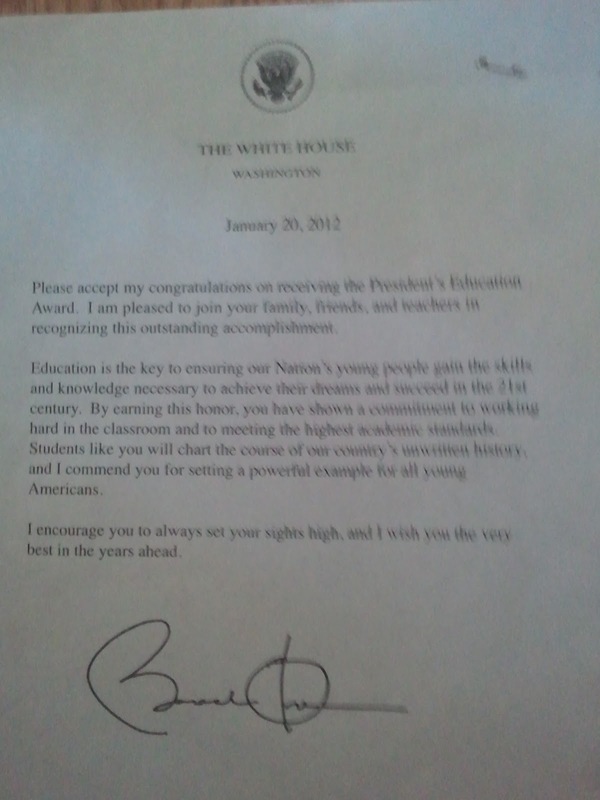 Her letter from the President! Her award Signed by Barrack Obama and a metal pin!